Talking Avatars in Education – The Virtual Teacher Comes of Age! Avatars, Talking Web Characters and Virtual representatives are growing in popularity for one critical reason … “they work”! With Broadband becoming the standard access to the Internet in all four corners of the world, the benefits and possibilities of utilizing rich media and interactivity in marketing are starting to become a reality if not the norm. One of the most active areas is in the so-called Animated Avatars know by many names such as: Talking Web Characters, Virtual Representatives, Virtual Characters and Web Compares. Their popularity growing every day, it’s not by accident, one critical reason is… “they work” , but when it comes to using them to deliver training, presentations or integrated into CBT and education the Virtual Teacher rises eminently to the challenge. Assisted Education Delivery using the ubiquitous Virtual Tutor comes of age. Virtual Teachers, educational presenters and tutor can have a new face, available 24 hours a day, 365 days of the year, with the same happy disposition, virtual, animated, automated lip-syncing and compelling content combined with contextual delivery. We know that retention is improved, we know that “lean back” education can be effortlessly absorbed and we know that there is nothing more powerful when it comes to delivering complex ideas or facts than the spoken word. Virtual Teachers can be available in different forms, ages, sexes and even fantasy. The flexibility is endless. Education creators can concentrate on the subject matter and choose the ideal Virtual Tutor to assist in the process. 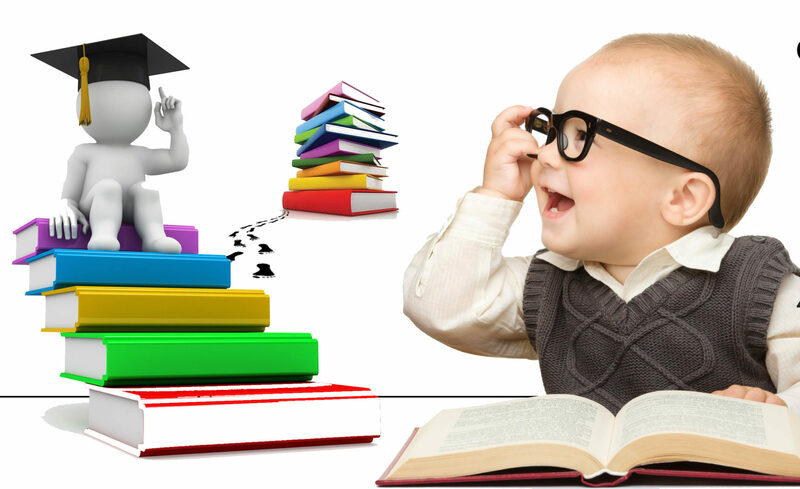 Literature assignment can be delivered in context and even brain teasing science and math education can become more precise when you have the help of a virtual tutor that has the power of “voice”. Un-attended education across the web or operated locally makes virtual education delivery highly effective and manageable. CBT has a new face, interactive courses can have virtual assistants and guides. Many training and formal educational environment incorporate media within their presentations and educational content, and it’s not by accident, why? because it works! The ability to concentrate on content and its compelling and memorable delivery is the reason that Virtual Teachers and Tutors are common place in establishment high in the corporate stratosphere and junior schools alike, they both have something in common, the recognition that compelling animated virtual teachers can give results in a planned and precise manner, where achievements can be accelerated at all learning levels. This is no accident, its technology at its best, with a face and a purpose. Take a PowerPoint presentation, graphs, facts, figures and images, nice enough, add a virtual full animated teacher into the mix and you now have a new breed of educational delivery. In an educational setting it’s a proven fact that information retention and concentration is enhanced when faced with compelling content. So what should you look for in your animated talking character. Is your talking animated character “attractive”, or does it look as though it has fallen out of the ugly tree, is it well crafted and generally compelling, or amateurish and poorly animated. Does it suit your image and delivery requirements… is the quality something you are comfortable associating with. Is the avatar lip-sync accurate? there is nothing worse than watching a virtual representative that resembles a badly dubbed movie, it is critical, our brains react in micro-seconds when faced with something that doesn’t look right! It seems bizarre but most animated talking character offerings have less than convincing lip-syncing to say the least. Simple tests include; Does the virtual tutors lips stop moving when silent? Does it shape the phonemes correctly or is it just a random selection of gibberish? 3: Virtual Teachers Ambient animation, Less is more. Animations during the narration should be kept to a minimum and be subtle, almost invisible. When watching a news broadcast you would feel uncomfortable is the compares eyes rolled from side to side and they exhibited strange and seemingly un controllable head movements. It is the content being delivered by the speaking avatar that is important, and all animations should be kept to a minimum to avoid distraction. Less is definitely more. Text to speech may seem convenient but it has a tendency to sound really bad. Remember! this is a virtual representative, your own animated web or media compare it is an extension of your image, unless you sound like a robot steer clear of synthesized voices. Use your own voice, or a friends, or shell out for a professional voice over artist, they are not as expensive as you think! In the future TTS will probably improve but at the present it should only be used if you have no other option. Some offerings give you loads of tailoring options, they even allow the visitor to play with the character during its narration. Generally you should try and restrict tailoring to clothing and backgrounds for the best effect. You want your visitors and users to build a rapport with your virtual teacher, so changing its looks continually does not offer continuity to the visitor or student. Having a Virtual tutor that the visitor can mess with only detracts from their message. Consider that many education delivery requirements may be remotely across the internet. Give a great deal of thought to this area as its rife with potential additional charges and risks. If you are on a Pay-for-view contract, a contract that charges you a monthly fee for so many streams, the risk is your growth in visitation, you end up with one of two potential problems; you have to pay more because you had a higher visitation as your site grows in popularity, or, you can’t afford to pay more, so your talking avatar disappears and leaves a block with the suppliers logo in place. The same goes for supplier hosting, you have no control over their hosting facility, if you rely on your web compare and your service suppliers servers go down you have lost your “voice”. If you own internet service goes down at least the whole site is no longer visible. Always try and use a solution that will give you total control, create your composition in your time, generate industry standard output (Flash, Flash Video or conventional Video ) and have total flexibility when it comes to integration. 7: Flexibility gives your choice. Is flexibility important, would it be nice to have access to the native output of your efforts in an industry standard format such as Flash, Flash Video, AVI etc so you could integrate your work into other environments such as Powerpoint, Camtasia, youTube etc. Are there any other services that can assist you from the supplier such as Voice-Overs, integration and bespoke services. Can your composition work off-line, can you create them off-line. Flexibility adds to the return on your investment. Doing any job badly is not a good idea, many people grab hold of a new technology and throw it at their audience with little thought. Implementing a bad Animated Virtual Representative is detrimental and could reflect on your business and/or educational requirements, take your time in the creation and don’t settle for second best.